Picturesque and quaint, Vermont’s tiny towns of clapboard Colonial homes, church steeples, and pristine countryside oozes with New England charm. The state is filled with unspoiled scenery, most of it either lush forest or pristine countryside dotted with farms. It is also a place filled with fun childhood surprises perfect for exploring, so let’s get started! 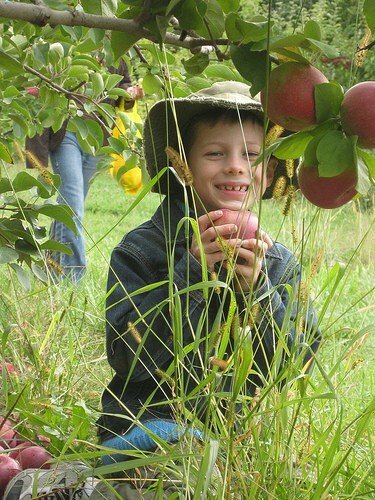 Here are the top things to do in Vermont with kids. Visit the Vermont Teddy Bear Factory and take a 30-minute tour of the place where adorable furry pals are born. If you’re lucky to visit during a production time you’re likely to see activities such as the cutting station where the 20 different fur parts needed to make a bear are cut with precision; the sewing station where 14 bears are sewn at the same time; as well as pinning and stuffing and other activities carried out to bring these wonderful friends to life. Whether production is in full swing or not, your family can conduct some retail therapy in the Bear Shop or create a teddy for your own in the Make a Friend for Life Factory. 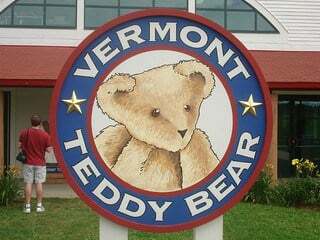 Have you been to the Vermont Teddy Bear Factory? rate and review your experience. What kid doesn’t love to pretend they’re headed toward Tidmouth Shed where Thomas the Tank Engine and his friends live on the Island of Sodor? 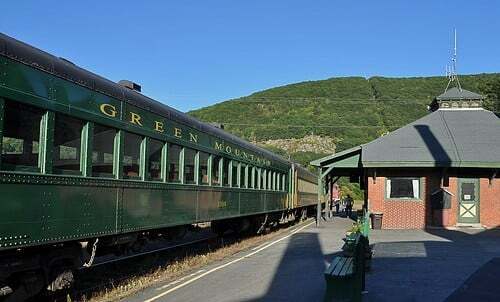 Riding the rails of the Green Mountain Railroad brings the imaginations of young engineers to life. Old-school diesels run on three routes; the Green Mountain Flyer runs from Bellows Falls to Chester Depot, the Champlain Valley Flyer runs from Burlington to Charlotte, and the White River Flyer runs from White River Junction to Thetford. While most excursions depart from the station during the spring and summer months, there’s an Easter Bunny train in March, a Halloween ride for adults and children in October, and Polar Express trips in December. Is there a train lover in your family? Book a stay at one of these train themed resorts across the US. If it’s not fun, why do it? This question was posed by one of the founders of Ben and Jerry’s Ice Cream when the duo started their deliciously iconic company. Stop by the factory to get a firsthand account of how all that sweet fun is created. From the video overview to the look out over the factory floor, your family will get a well-rounded orientation to how your favorite flavors are created and packaged. While you’re there, visit the Flavor Graveyard so you can stop mourning for Wavy Gravy, Rainforest Crunch, Devil’s Food Chocolate, Chocolate Chip Cookie Dough and other flavors that have gone to the great beyond. Tours are offered daily for a minimal fee and culminate with a nice sized scoop of yumminess! 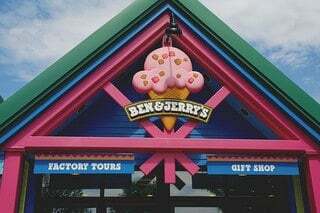 Don’t spoil your appetite; there are some great places near Ben & Jerry’s to grab a delicious meal. Observe the production of hot apple cider donuts and the pressing of fresh apple cider itself at the Cold Hollow Cider Mill. You may even get to see crews fire up the evaporator in the jelly room! The free self-guided mill tour begins with an educational video that shows the cider making process, and then visitors simply follow the tumbling apples on the floor through the rest of the experience. Established in 1974 in a historic, old Vermont barn, Cold Hollow has become New England’s most famous cider mill. Can you smell the donuts now? 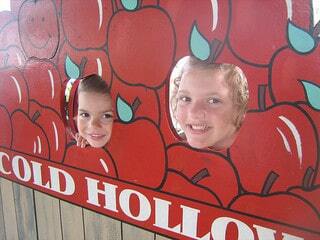 Have you been to Cold Hollow Cider Mill? Please share you scoop and write a review. Montshire Museum offers hands-on experiences with natural and physical sciences, astronomy, ecology and technology through more than 125 exhibits. 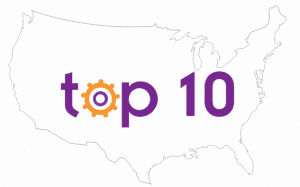 Located near the Connecticut River, the museum has both indoor and outdoor exhibits for budding young scientific minds. 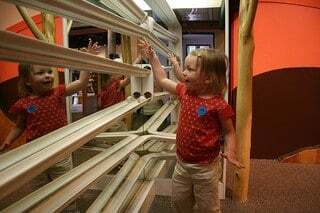 Kids can conduct activities with air, weather, math and mechanics while interacting with the museum’s indoor attractions. Outdoors, walk through an impressive scale model of the solar system (it’s a 2 mile walk to pluto! ), enjoy the foliage and nature trails in the Woodland Garden, and explore the science park that includes experiments with water and sound. You look hungry! We have a food adventure for you just five minutes away! Swing by the End O Road Maple Sugarhouse and let the Neill family give you a walk-through of the traditional method for making maple syrup. Made in a wood-fired evaporator fed by a few sap lines, the result takes the sweet form of maple cream donuts, candies, even maple lemonade! Learn facts about sugaring, enjoy some free samples, and get up close look at antique equipment originally employed in this yumminess. 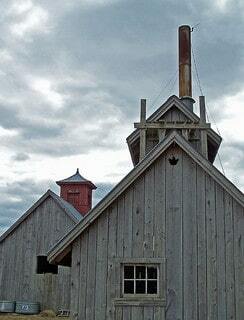 One important tip: wear boots or shoes you don’t care about because it’s muddy around this sugarhouse! Don’t quit your exploring here, there’s a lot more to see nearby. 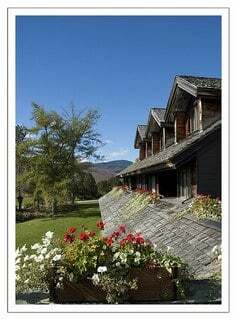 The Trapp Family Lodge and Resort is a natural playground offering something for everyone in the family. 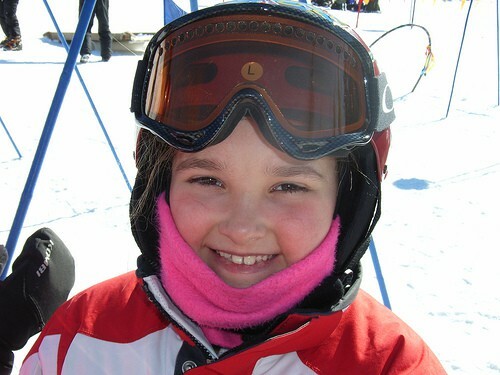 The resort’s Mountain Kids Club features activities such as swimming, fishing, and art classes. Depending on the season, you can also expect to enjoy guided hikes, rock climbing, snowshoeing, ski lessons, snowman contests and bonfires as well. Guests enjoy all of this fun in Austrian-inspired lodging at this 2500 acre mountain resort. Can’t you smell that clean mountain air right now? Check out Vermont’s other kid-friendly resorts. Your kids can look for eggs in the chicken coop, help milk one of the cows, or they can select from at myriad of other hands-on activities at Shelburne Farms. This 1400-acre working farm on the shores of Lake Champlain not only produces many of the food products Vermont is known for, it also offers walking trails, a children’s farmyard, tractor rides and all sorts of fun in its boundaries. Take in the gorgeous scenery while on a picnic, sing with friends around the campfire or enjoy the fall foliage while engaged in a scavenger hunt on one of the trails. You can even book a room at the farm’s inn and soak up the pastoral life all weekend long. The farm is open for summer camps, preschool programs, and even sleigh riders during the winter. Don’t stop exploring here. Shelburne Farms the gateway to Vermont’s largest city. Check out kid-friendly activities in Burlington. Smuggler’s Notch has a history as breathtaking and colorful as its landscape. Located in the Green Mountains, the thousand-foot cliffs, the boulders the size of homes and the flora have witnessed clandestine activities such as 19th-century runners smuggling goods back and forth to Canadian trade markets, and later saw fugitive slaves risking their lives as they journeyed through the notch to freedom. The last instance of smuggling here came during the 1920s as liquor was brought through the narrow pass during Prohibition. It’s a fantastic place for your kids to unleash their boundless energy exploring the amazing caves and climbing the enormous boulders on the hiking trails. Once the youngsters learn that they are standing in renegade hideouts, who knows what area history they may be open to learning? Need a place to stay during your visit? We have a suggestion for you. Vermont is a haven for skiers, giving them their pick of an array of downhill experiences. From mega-mountains like Killington and Sugarbush to Stowe’s Mount Mansfield, the powder is beckoning. But if you aren’t ready to start taking on those double-black diamond trails just yet or you’re just introducing your little ones to the sport, there’s a ski resort for you here. Check out the elegantly groomed and affordable Burke Mountain, home of the first ski academy in the United States. Many of the runs seem made for novice skiers. There’s also Bolton Valley, which caters to varying skill levels and offers a $10 savings on lift tickets for students, children, and seniors. So wax your skis, get out that equipment, the mountains are waiting for you. Not ready to slalom? See where you can go sledding and tubing in Vermont. I really enjoyed this posting on things to do in Vermont. I from the area and this was spot on in describing how wonderful it is up here in the northeast.